REDUCE, REUSE, RECYCLE… THE VINTAGE WAY! Buying vintage clothing is socially responsible, as each garment purchased combats the 14.3 million tons of textile waste per year produced in the United States alone! (Source: Environmental Protection Agency, 2017). 84% of textile waste is sent to landfills at a cost of $3.7 billion per year, and a majority of this unprecedented growth in textile waste is driven by fast fashion and consumer behavior. Fashion cycles – from catwalk to retailer – move at lightning speed with multiple cycles per year. Add on the fact that our culture is steeped in rapid consumerism and you end up with disposable clothing. (Source: Recycle.com, 2019) Click here to read a fact sheet to learn more about textile waste and the fashion industry. Each item in the The Getup Vintage is hand-selected, cleaned, and cared for - as well as one-of-a-kind! Our process starts with our buyers, who source the best vintage clothing by traveling far and wide to procure the best vintage for the vintage lovers of Ann Arbor, Michigan! With two buyers with well over three decades of vintage buying experience between them, every piece at The Getup is selected for style relevance in today’s world, classic styles and pieces, durability and longevity, and pieces that are just funky and fun! Because the store is small and space is limited, we live by the mantra “ALL KILLER - NO FILLER”. 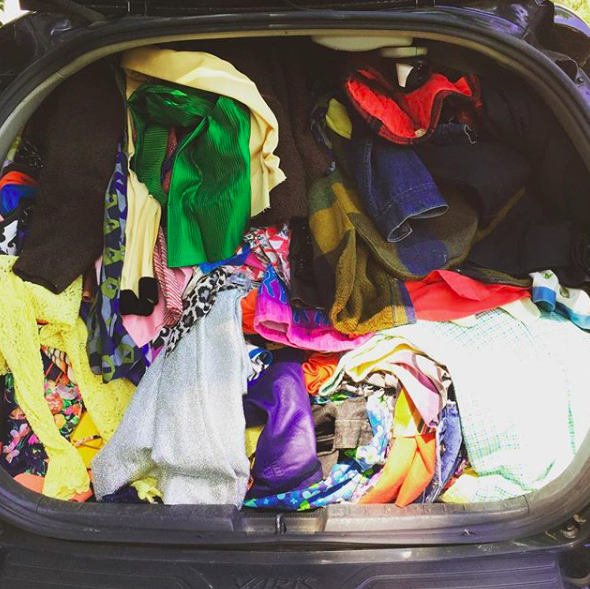 Below, the trunk of one of our cars packed to the max with amazing vintage… we couldn’t possibly have fit any more! After we've found some pretty great clothing, the restoration and cleaning process begins. We make our own soap for the washing machine using a mixture of completely natural products, and we’re down to $0.27 per load with no plastic bottle waste! A lot of vintage clothing is too delicate to go in a washer or dryer and must be hand soaked, so for this we also use soaps designed for antique and vintage garments when the piece is of a more delicate nature. Vinegar, baking soda, and hanging garments to dry in the sun are our best friends for cleaning vintage. Dry cleaning is another avenue where we've gone green - we use a local organic dry cleaner whom uses only natural chemicals. You can be assured that our garments do not have harsh chemicals or detergents applied to them. Absolutely every piece on display at our shop and on our Etsy have been laundered in the above methods. They are clean, fresh, and ready-to-wear out of the shop! 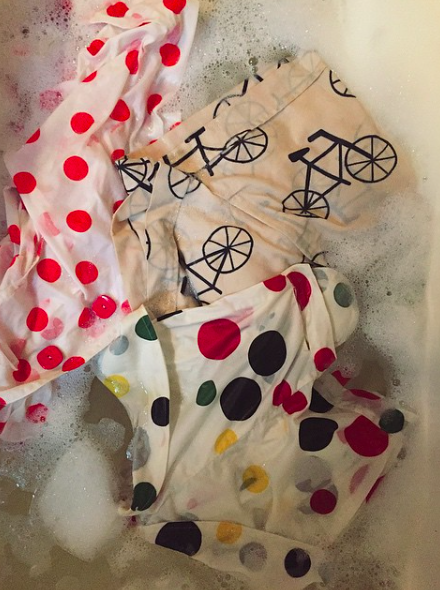 Pictured below, some garments soaking in a tub - a typical day’s work for us. 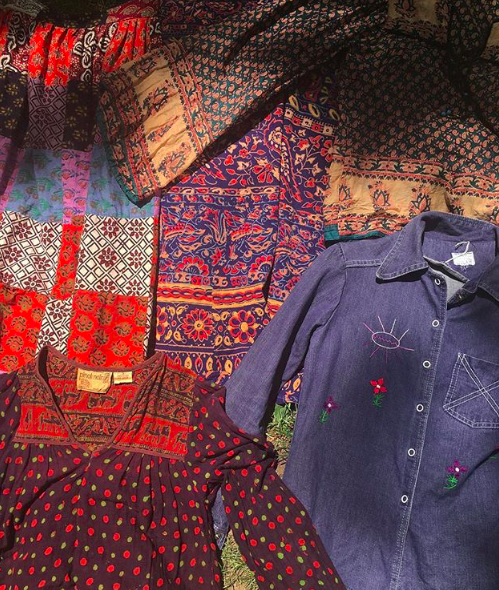 Not only is it good for our mother Earth, the unique and one of a kind designs and textiles we stock are perfect for making each wardrobe special! In tandem with laundry process comes the repair process. It’s the nature of the game when you’re dealing with garments from anywhere from 20 to 80 years old! Threads pop, seams split, buttons need to be re-stitched, hems re-tacked, new zippers put in. We have a team of expert seamstresses that tackle these projects before the garments hit the sales floor - another way that we’re ahead of the curve of most vintage stores, where the customer is usually expected to fix the garment after purchase. Shopping with us, you will receive a garment that has been looked over and mended, and is in the best condition it can possibly be restored to. Of course, the nature of vintage garments is that it has had a life before you. We can’t erase it’s history, nor do we want to. Small imperfections speak to the life that the garment has already lived. One should be proud to wear a garment with history! We are a member of DTE Energy's GreenCurrents / MI Green Power program and have pledged that 100% of the energy used for our shop comes from green sources. 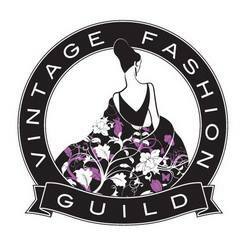 The Getup Vintage is a proud member of the Vintage Fashion Guild, an international non-profit dedicated to the education, promotion, and preservation of vintage fashion.